There’s a very good reason that Hawaii is considered one of the most beautiful destinations on Earth. Where else in the world can you explore tropical rainforests, white-sand beaches, cascading waterfalls, and active volcanoes all in the same day? Big Island is home to some of the best hiking trails in the country and we have put together a list of our favorites below. Check it out and be sure to add these Big Island hikes to your bucket list. 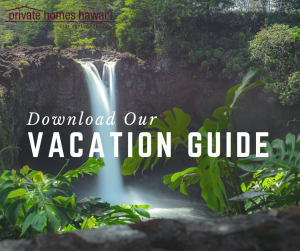 Don’t forget to look at our free vacation guide for more exciting adventures and attractions. Travel Tip: Check out our Big Island bucket list! 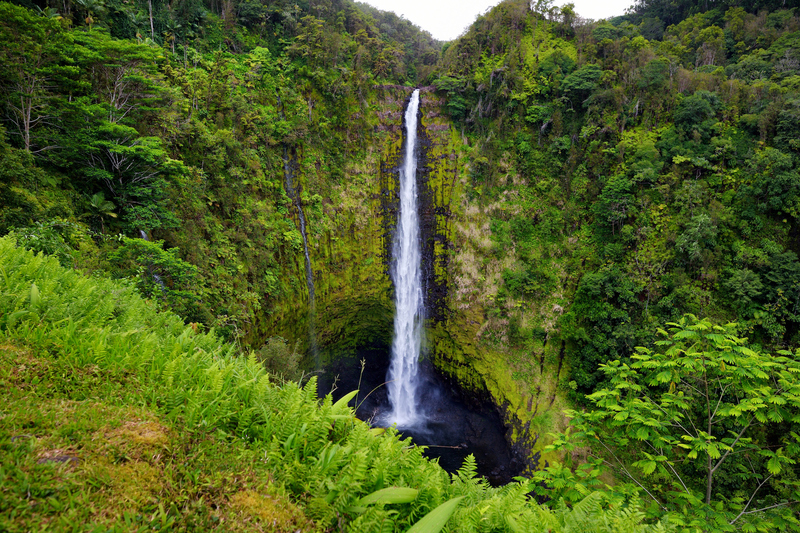 While there are several amazing Big Island waterfall hikes, none can compare in size or grandeur to the 422-foot-tall ‘Akaka Falls. A short half-mile trail will take you to the falls and back, offering lush rainforest views along the way. We recommend visiting in the morning to beat the crowds while the sun is high enough to illuminate the entire waterfall. There is a $5 fee for parking or a $1 fee per pedestrian. Make sure to bring your camera – you’ll find plenty of opportunities to snap Instagram-worthy photos here! Carved into the base of Kohala volcano at the northern end of Big Island, the awe-inspiring views at Pololu Valley will leave you speechless. Steep cliffs, large dunes, and ironwood trees are just a few of the natural wonders that you’ll discover here, but the real attraction is the black sand beach. Surrounded by tropical rainforest and soaring cliffs, it’s considered one of the best beaches on Big Island. While the 2.5-mile round trip hike is relatively easy, the descent to the black sand beach is short and steep. Make sure to wear comfortable hiking shoes! Calling all thrill-seekers! Not for the faint of heart, a hike to the End of the World promises to be an adventure you will never forget. Located in the Kailua Kona area, this winding trail takes you over lava fields, past deep caverns, and to the edge of rocky cliffs. It’s also a popular spot for cliff diving and snorkeling, but we caution you to do so at your own risk. This hike is not for beginners! After an exhilarating day out on the trail, come kick back and relax in one of our Big Island vacation rentals. 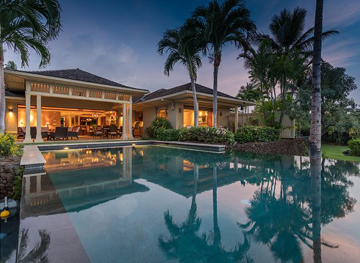 From oceanfront estates to large family homes, Private Homes Hawaii offers a wide array of upscale homes for your next Hawaiian vacation. 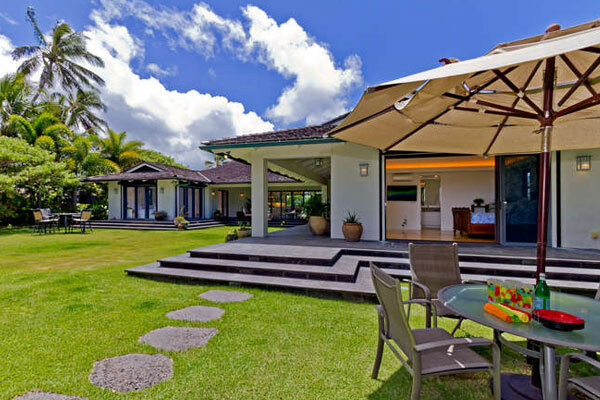 Our Big Island vacation rentals offer close proximity to golf courses, Puako tide pools, beautiful beaches, and amenities at the Four Seasons Resort Hualalai. All of the best attractions, including volcano tours, zipline excursions, and hiking trails are minutes away! 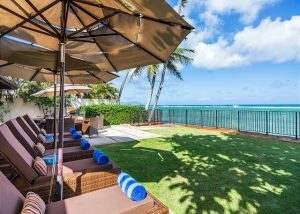 Just south of Diamond Head Crater, our Palm Tree Estate in Kahala offers the ideal accommodations for a relaxing stay. Enjoy magnificent waterfront views from the covered lanai or walk down to the ocean and go for a swim. Are you ready to start planning your next Hawaiian vacation? Browse all available rentals and book your stay today. We can’t wait to hear all about your favorite Big Island hikes!